UB College of Law nailed it once again after winning over Ateneo Law School during the elimination round in the recently held ” Square Off: The Firm Debates” aired last May 28, 2017 at ANC. 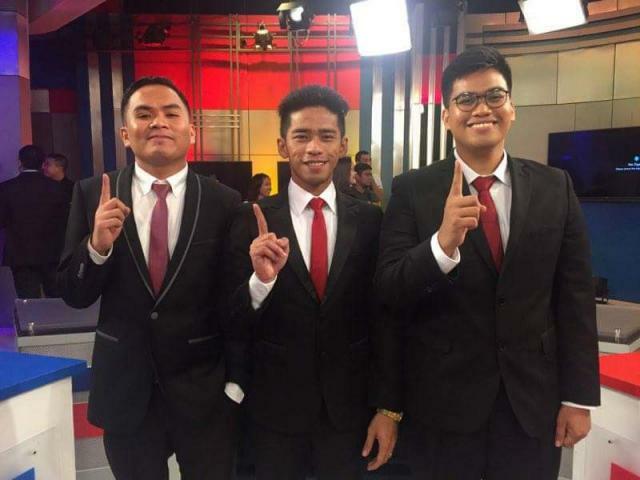 The team composed of Jordan Jalbuna, Noel Alberto Omandap and Bendrick Maralit, who was hailed as the Best Debater, showed their prowess during the debate. The team extended their gratitude to their support team, who underwent a thorough and rough research which served as a strong foundation for the said contest. The group also credited their success to their Coach, Atty. Franklin I. Cueto, to the Dean of College of Law, Atty. Hernando B. Perez, Jr., Associate Dean, Atty. Edna del Rosario and of course to the University President, Dr. Hernando B. Perez for their undying support. The UB Debate Team will have their next match which will be aired on July 30,2017at ANC.